Kreditech Customer Service Center in Bucharest is offering a job for people that speak Czech language, in providing support by phone and online to their customers from Czech Republic. You get along with just about everyone. You are passionate about your work, like to be around people from all over the world, and you take an active interest in creative development. You want to make the world a better place. You want to achieve great things. We want to take good care of our employees – we want to make sure that working is exciting and productive. So to keep the team happy, the Kreditech Customer Cervice Center offers a centrally located headquarter office in Bucharest. Inside, you’ll find a team of bright, highly motivated individuals to work with, a fast moving environment with rapid growth where the sky is the limit, and the chance to create a real impact in the shaping of the company. All in all, you’re in good hands! 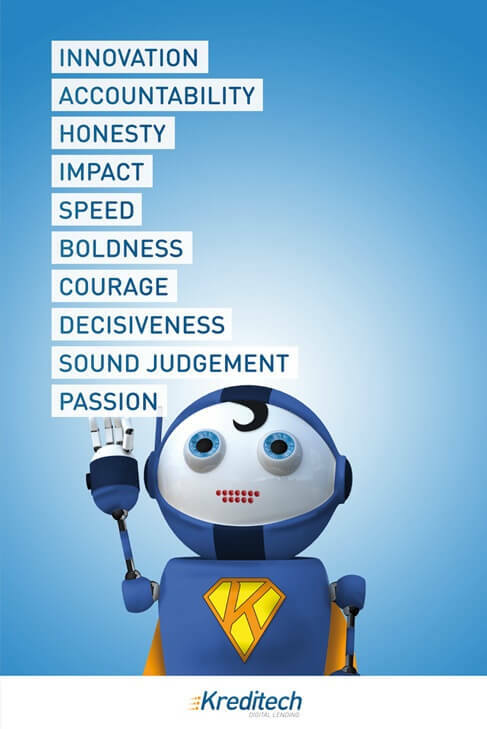 The Kreditech Group is a place of innovation, speed, high growth, high performance, and high reward. We break established tradition, we write our own rules, and we bring in the best people to build up the team. If you want to be a part of this, here is your chance. You speak and write Czech fluently and clearly, English would be a plus. If you are interested in applying, send an email to andrei.pirvulescu@kreditech.com.